Sea Kayaking tours an exciting group and family sea adventure exploring the coastline of the Trogir Riviera. 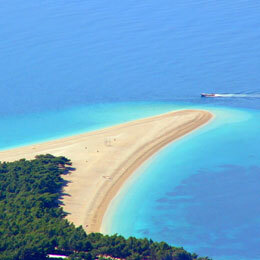 Spend a few days kayaking and travelling by boat to this unknown and untouched area of Croatia. 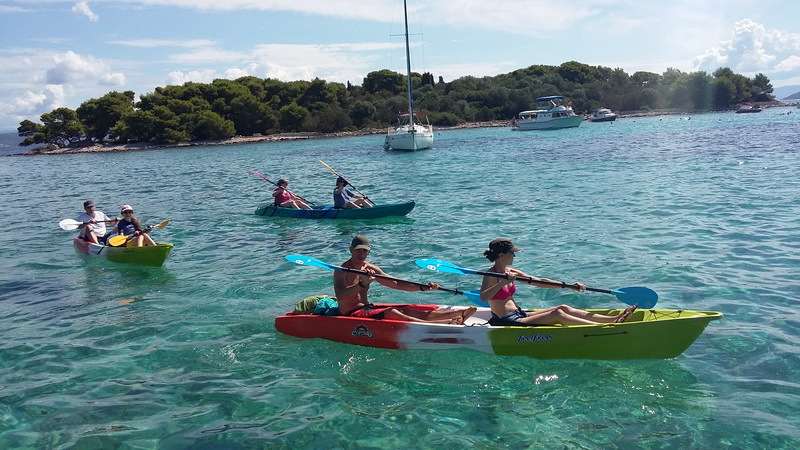 Discover many quiet unspoilt beaches and bays as you kayak around the Drvenik Islands and to the Blue Lagoon, White Lagoon and around Trogir. 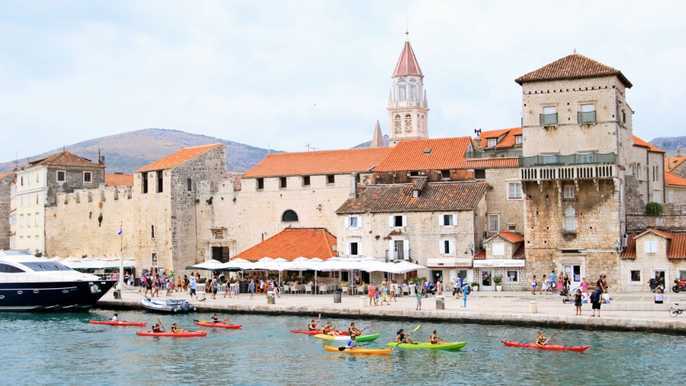 There are a number of good restaurants and a small market in the old town, walk along the promenades to the pebble beach and the crystal clear waters. 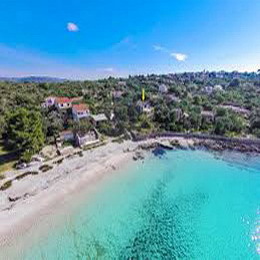 Seget Donji is ideally situated to explore the islands and only a short distance to the UNESCO city of Trogir; a beautiful medieval city steeped in history. 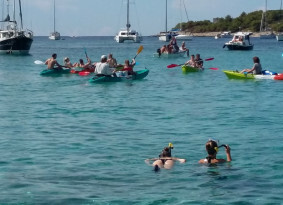 There is also free time to enjoy the beach where you can swim and snorkel in aquamarine sea. 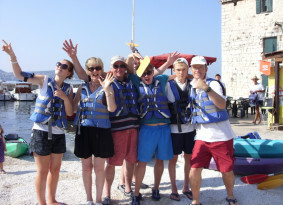 This program can include accommodation,transfers and you can combine with another adventure tours from our programme. Regarding our tours we advice you slow down, relax, open your eyes and look carefully, touch nature around you and feel life in it. Share with us and many others the pleasure of living your own holiday moving through beautiful landscapes, towns and villages. 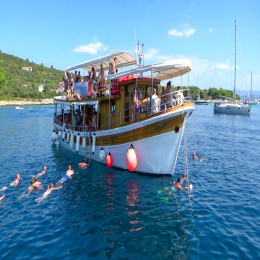 An early start today as you take the boat across to the picturesque Drvenik Veli Islands. 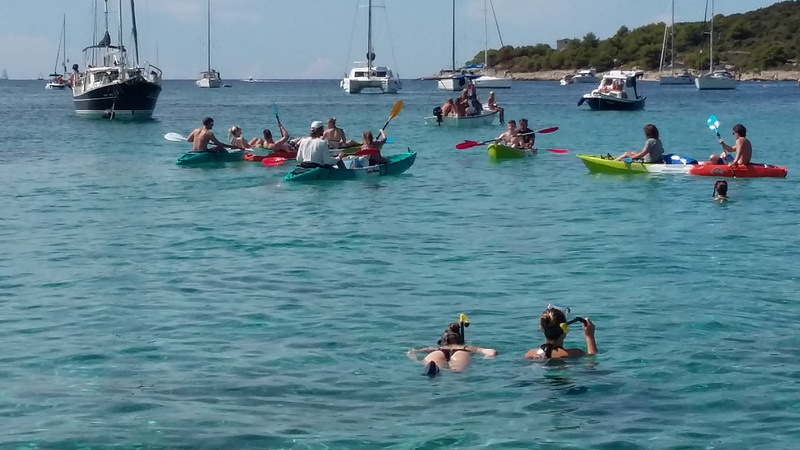 Upon arrival you jump into your kayak and paddle around to the Blue Lagoon. 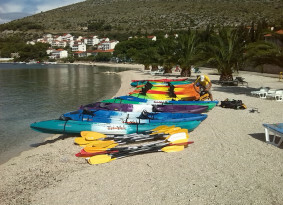 Enjoy a picnic lunch on the shores of the Solinska Beach close to the Blue lagoon. 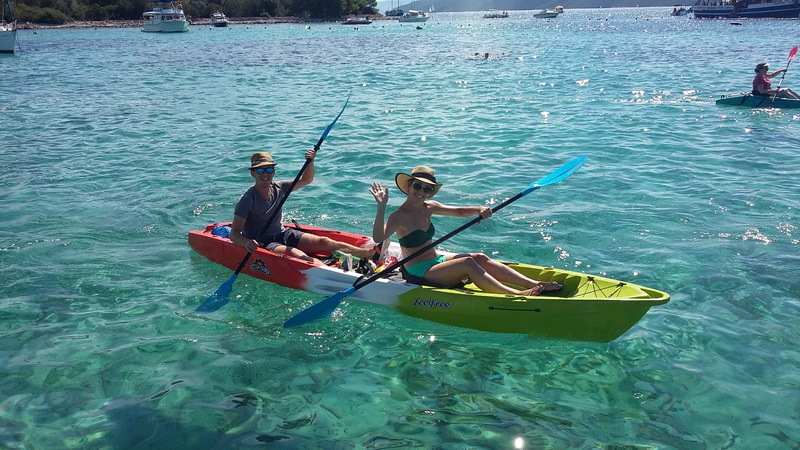 Enjoy the opportunity to go swimming and snorkelling in these azure blue warm waters. Snorkel and fins are provided. Returning to Seget Donji by boat in the afternoon. Breakfast. Our local tour leader will give you the directions and be there to go through the day’s itinerary. 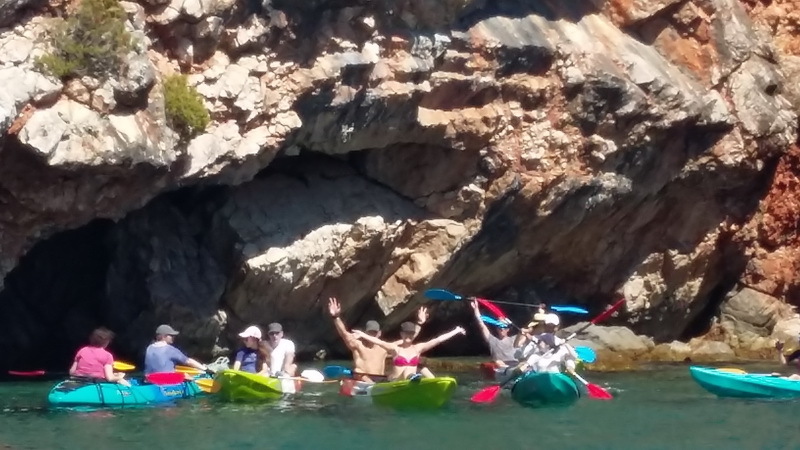 You’ll wander down to the old harbour to meet your guides and collect your sea kayaks. 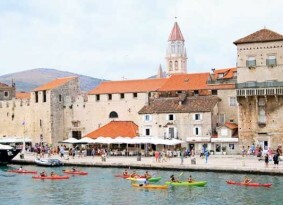 You have approximately 2km paddling, leading to the southern side of the medieval city of Trogir. Your tour leader will regale stories of this history and culture of the area, as you drift pass the seafront. You’ll continue along the canal, under bridges until you reach the sandy beaches of Pantana. Here you will have some free time to relax on the beach, take a dip in the warm waters and enjoy some refreshments. Remember to pack a towel and your suncream. 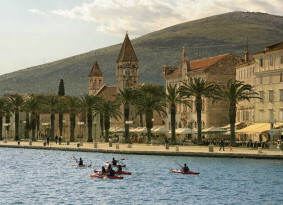 The route back passes the city market and the northern part of Trogir. You can stay in self – catering apartments located in Seget Donji. Each apartment has a living room, kitchen, bathroom and balcony. Some living rooms have a sofa bed for a third person to use. Bed linen and towels are provided – but please bring your towels for the beach and the waterfalls/rivers day. The kitchens have a small cooker as well as all basic cooking utensils and local products can be purchased at the local market or in Trogir. Near the apartments is 2 km long of promenade for walking or cycling. Breakfast is provided at a local restaurant or you may prefer to cater for yourself at the apartment. Flight - You can book this trip with an inclusive flight. We are working with major aircompanies such as SAS, Germanwings, Norwegian, Croatia Airlines, Lufthansa, Rayanair and many more. 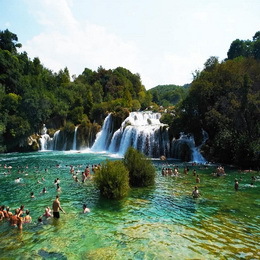 The weather in Croatia on the coast is a Mediterranean type of climate with warm sunny summers and mild winters. It is of course impossible to predict the precise weather conditions you will encounter during the course of your holiday. However, we do schedule our holidays to coincide with what should be the most suitable weather periods. Seasonal variations and localized weather conditions, as well as nonseasonal weather means you should always be prepared for inclement weather including rain and storms. As a general rule daytime temperatures will be higher than night time. Increases/decreases in altitude during the course of a trip usually means temperature variations. The temperatures during the summer time are usually 28ºC – 35ºC, during spring and autumn 18ºC – 25ºC, during winter 5ºC-15ºC. This is a great fun active holiday, exploring the heart of the Dalmatian coastline. 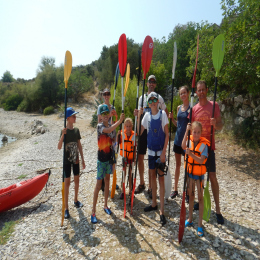 There are both one or two man kayaks and we recommend that an adult always accompanies a child in the kayak. No previous experience in anything included in the tour is required as full instruction and all safety equipment is provided. 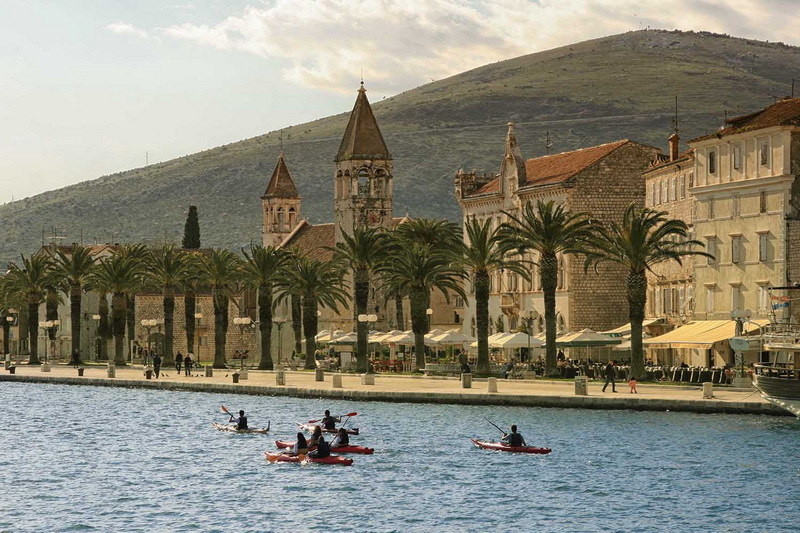 You can explore the local historical towns of Trogir, and Spilt, both a UNESCO World Heritage Sites, as well as relaxing on the beaches. 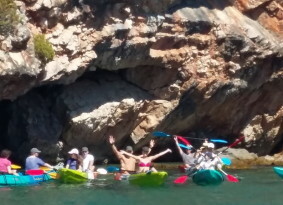 Your tour leader has a supply of waterproof bags which can be placed into the kayaks for swimwear and towels etc.